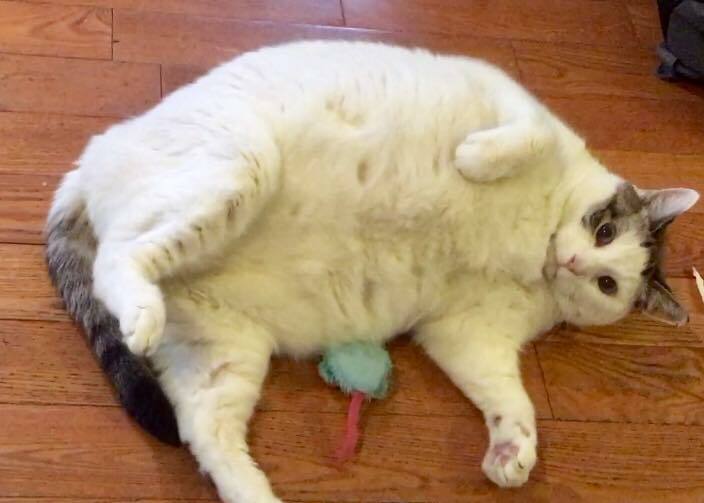 Chubbs is a 28 pound, 9 year old cat abandoned in an overcrowded kill shelter. But Shelter Chic saw even through the cage bars how much love Chubbs had to offer - he actually reached out through the bars of his cage, grabbed his rescuer and would not let go! 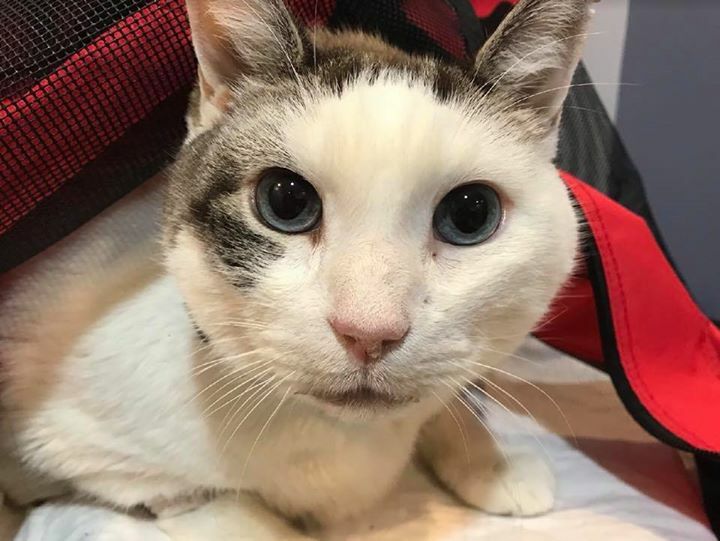 Sadly, Chubbs chance at “happily ever after” has been put on hold, as he needs a lot of medical help so he can get the real second chance he deserves. 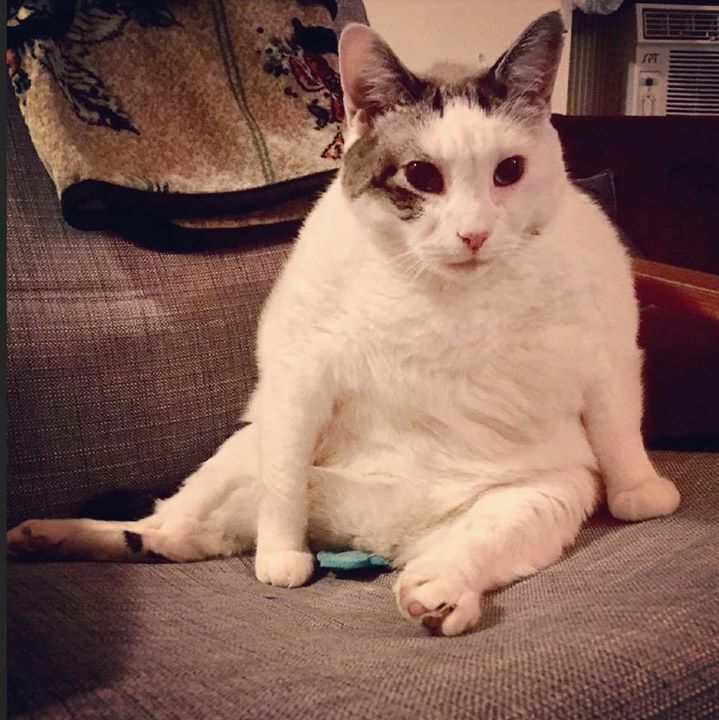 Learn more about Chubbs adventures in his foster home below. We offered to foster Chubbs, and he dashed under our bed the first night we took him into our home. So we stuck our heads under the bed, and began ever so slightly petting him. We weren't expecting much. Upon that first touch from us though, he inched a little closer. After another pet, even closer, slowly crawling out from under the bed. This is a cat who just craves love. Within minutes, Chubbs was out, exploring, and ultimately declaring all couches his thrones. From that night on, he was king of the house. We had to give him a bath that first night. Like most cats, he wasn't happy about it. And yet, he never bit us. Never tried to scratch us. He hated that bath, but he refused to cause any harm to stop it. It was at that moment we realized what a classy old gentleman he is. Whenever we returned home, he'd jump from his throne, run (well, waddle) over to us, and demand bellyrubs. He'd roll over on his back, crook his head up and stare longingly with his wide blue eyes. 1) Bellyrubs. Once you start, you may not stop until he grants permission. 2) His blue cactus. This is a tiny little piece of blue felt the size of a matchstick box. It's the first toy we gave him. He ignored it for three days, and then decided it was his best friend. Since then, he swats at it, cuddles with it, and rubs his face on it. We've since bought him much larger, more interesting toys, but he doesn't give them the time of day. 3) The window! This is a new discovery. He is very excited to continue looking through it once he feels better. 1) His cat bed. He often snuggles in our human bed at night. He's quite large, so doesn't always make the jump. But he's so determined to be close to us, he keeps trying and is getting much better at it. During the day he makes his rounds from the couch, to the rocking chair, to the loveseat, then back to the couch again. He will NOT go in his cat bed. After a few weeks with Chubbs, we were foster failures, as he'd become a permanent member of our family. The night we made the decision, I lay down on the floor next to him and whispered, "You have a home now. You're staying here for good." About a week later, I returned home and he didn't jump down from his throne to greet me. Within a few days, he wasn't eating, his eyes clouded over, and he wasn't moving - just pressing his head into the couch. The animal hospital found that he had pancreatitis. They were nice enough to let us visit him multiple times. The first visit he had a cone around his little head, and a feeding tube through his nose. We brought him the blue cactus, which the vets told us he loved. We took him home, but he stopped eating again. 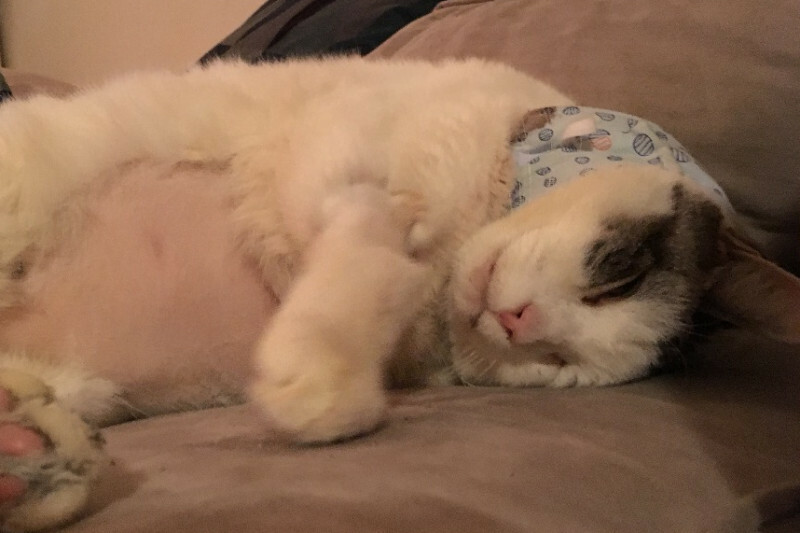 This time he needed surgery to have a feeding tube put through his neck. For the past few weeks, we've been feeding him 6 times a day through this tube. It's an hour-long process each time, and he's such a trooper. 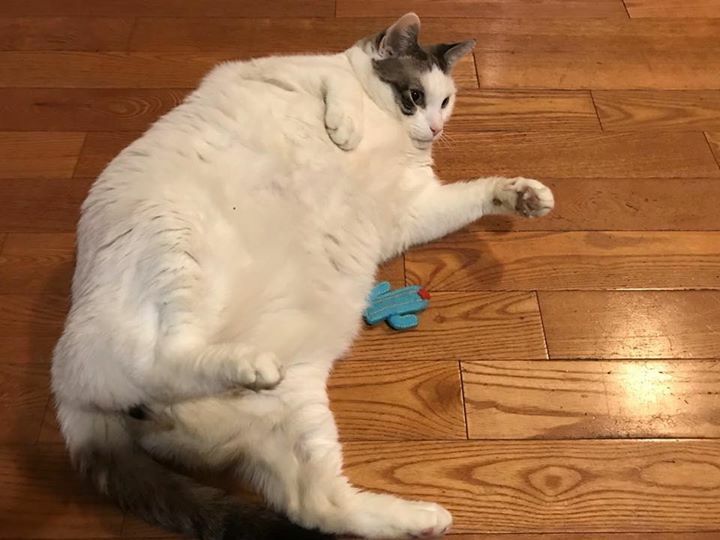 He sits patiently, often rolling over to get a bellyrub during the process. A few days ago he started drooling and showing other problematic symptoms, so we took him back to the hospital. He had progressive anemia, and required a red blood cell transfusion. Tests were run and found that he had hepatic lipidosis. We now have him back home again, and for the past few days he's been trying to stay close to us, even with his big collar and tube around him. He is currently undergoing a 10 day course of antibiotics. 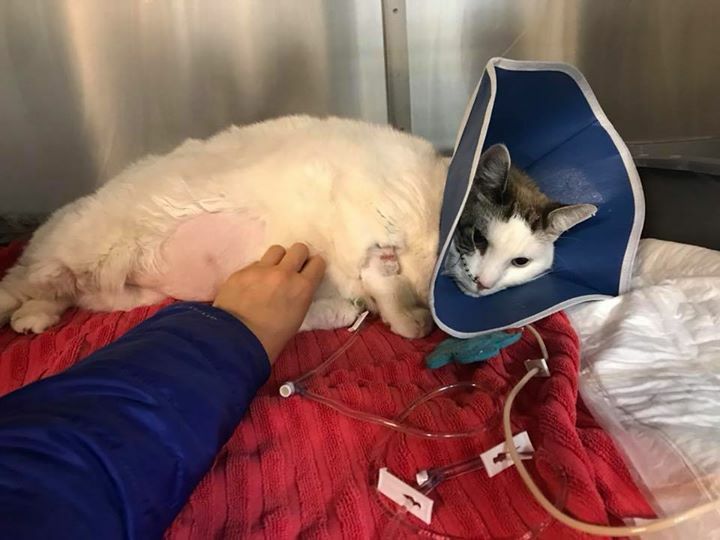 We're taking it day by day, and are hopeful that in the next few weeks or months, Chubbs' pancreatitis and liver disease will improve and he'll be able to start eating on his own again. 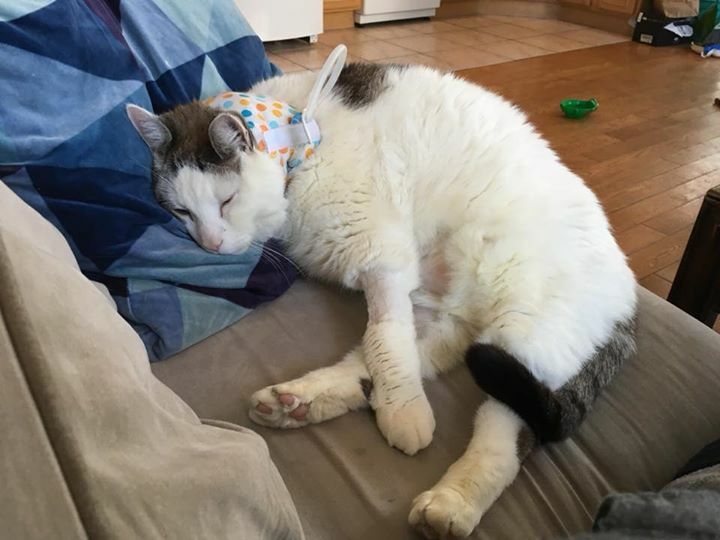 Chubbs is a gentlemen who had some bad breaks in life, but deserves a chance to live out his golden years sitting on his multiple thrones with his blue cactus and new forever home.